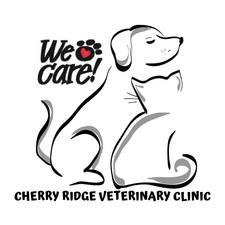 Meet the friendly staff at Cherry Ridge Veterinary Clinic! Dr. Craig brings over 15 years of veterinary experience with him, having worked part-time in a variety of small animal practices and emergency rooms throughout Pennsylvania. His experience encompasses all aspects of small animal and exotic animal care and he is skilled in a variety of medical and surgical procedures. His particular area of expertise is internal medicine and emergency care. Dr. Craig is a licensed veterinarian in both Pennsylvania and Massachusetts. His training includes an internship and clinical assistantship at the University of Florida, PCTR at LSU-SVM. Dr. Craig is AVMA-ECFVG Certified and a member of the AVMA, PVMA, and the Society of Veterinary Medical Ethics. He continues to keep up on the latest developments in veterinary medicine by taking continuing education courses and regularly attends the North American Veterinary Conference, Western Veterinary Conference and Critical Cal Conference. He has also written articles on the handling of difficult dystocia cases that appeared in Dog World Magazine. Dr. Craig enjoys being a veterinarian because he loves working with clients, finding each case to be a different challenge and feels that it is his responsibility to research diligently for a solution to the problem to help their patient get better. Dr. Craig says, 'All my life, I have always tried to help animals have better lives.' Through the years, he has had many animals of his own and so he also understands the strong bond owner's share with their pets and the importance of caring for a pet as a valuable family member. During his spare time Dr. Craig enjoys traveling, swimming and golfing. He and his wife also love spending time with their two comical Miniature Schnauzers, a feisty old Parrot and a multitude of Tropical fish.